NATA Result 2019 : After the concluding the NATA 2019 Examination the Result will be announced by the Council of Architecture (COA) on the official website. You can check your result by going through the steps provided here. NATA 2019 Exam will be completed in the month of April 2019 so the tentative Releasing dates for NATA Result 2019 are as follows. This table will be updated when the final dates will be announced officially. after getting all the dates, lets move to the procedure to download the NATA Result 2019. All the candidates who appeared in the examination can check the NATA 2019 result by going through the procedure given below. After clicking on it a new login page will appear. On it, Enter all the asked details like the App Seq Number and Password. Your NATA 2019 Result will be appear here. Candidates must have to download the NATA Result and take a print out, because you will not get any scorecard for it. Additionally the Result will have many important details on it such as Merit Secured, Full list is as follows. Marks: Obtained in Each section and Total Marks obtained out of Maximum. 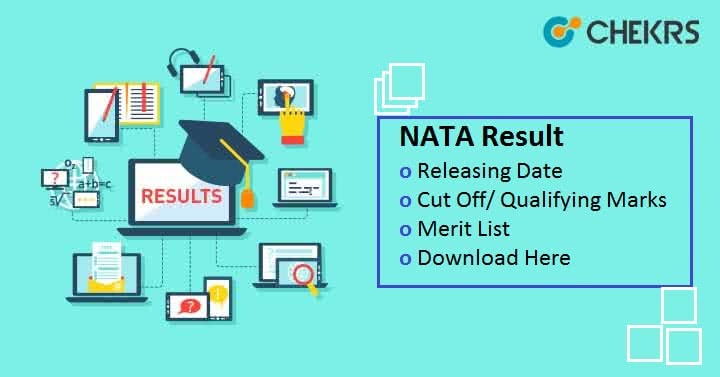 Merit Secured detail will be printed on the NATA Result 2019 PDF but the Exam Authority COA will release Cut Off Marks, just after the declaration of result. You can predict/ guess the Cut Off marks of different architecture institutes for this year on the basis of the previous year cutoff marks for the admissions. Last Year COA had released Qualifying marks for Mathematics and General Aptitude the details are is in table. With all these, an aggregate of 70 out of 200 was required for aspirants to be considered eligible for admissions. The Qualifying marks is expected to be same this year also. So Try your Best. After the NATA Result 2019 declaration, qualified students will be called for the NATA Counselling. It is Process in which seats will be allotted to the candidates in various architecture colleges and institutes. The Seats will be alloted on the basis of their filled choices in the counselling form and the NATA Merit list. After getting the seats candidates have to visit the alloted institute for further Admission Process.